Now you can take the Warner Bros. Studio Tour in London on Google Street View. 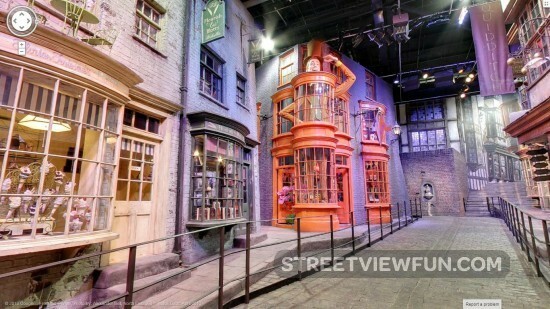 Among the fun things you can do is step onto the famous cobbles of Diagon Alley. This is where you’ll find the shop fronts of Ollivanders wand shop, Flourish and Blotts, the Weasleys’ Wizard Wheezes, Gringotts Wizarding Bank and Eeylops Owl Emporium.